As the Philippine esports industry continues to flourish and expand thanks to high-profile tournaments, one student-organized league, Impetus, hopes to make its own mark by crowning the country’s first Dota 2 Champion UAAP school. Representative teams from the eight UAAP member schools are set to battle it out for the prestigious title and a P25,000 cash prize at the Impetus Main Event on June 24-25, 2017 at TheNet.Com’s (TNC) High Grounds Cafe in Quezon City. Organized by the University of the Philippines Gaming Guild (UPGG) with the help of its co-presenters, Acer Predator and TNC Cyber Cafe, this unique, student-led initiative aims to establish a collegiate esports league that brings together the best Dota 2 teams from the country’s most prestigious universities. 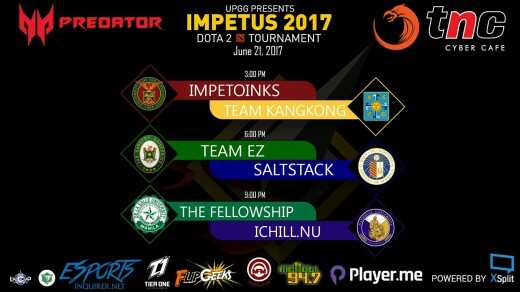 Come June, Impetus will bring together all eight qualified teams under one roof to determine who has the best Dota 2 team among the UAAP member schools. The champions will take home the title of Impetus grand champion and P25,000, while the second and third placing teams will receive P15,000 and P10,000, respectively. Fans of esports and the participating schools are expected to converge at TNC’s flagship gaming cafe and restaurant, High Grounds Cafe, for the main event – one that hopes to become a momentous celebration of gaming, sportsmanship, and collegiate esports. According to UPGG president Franz “Neutral” Irorita, one of the organization’s main motivations in creating such an event was the lack of esports tournaments that are directly involved and integrated with universities. “In the future, we hope that the Philippines will also have student esports leagues that are recognized and supported by local universities,” he said. The two-day event will feature a double elimination-style tournament bracket, with best-of-three matches for the Upper Bracket matches and best-of-one matches for the Lower Bracket elimination matches. It will culminate with a best-of-five Grand Final match on the main event stage for the top two remaining teams. Bracket placements of the participating teams will be determined through an online round-robin competition held prior to the main event. UPGG also aims to make the main event a celebration of the video gaming community – one that will engage fans across various genres and promote the strengths of video gaming and its fan base. Attendees will be given a 50% discount on PC rentals at High Grounds Cafe, along with other perks such as Player.me VIP keys, giveaways from event sponsors, and the chance to win two XSplit premium accounts. Impetus is UPGG’s largest and most ambitious project to date – one born out of its members’ passion and collective desire to strengthen the local esports industry and make their own mark in it with a one-of-a-kind tournament concept. 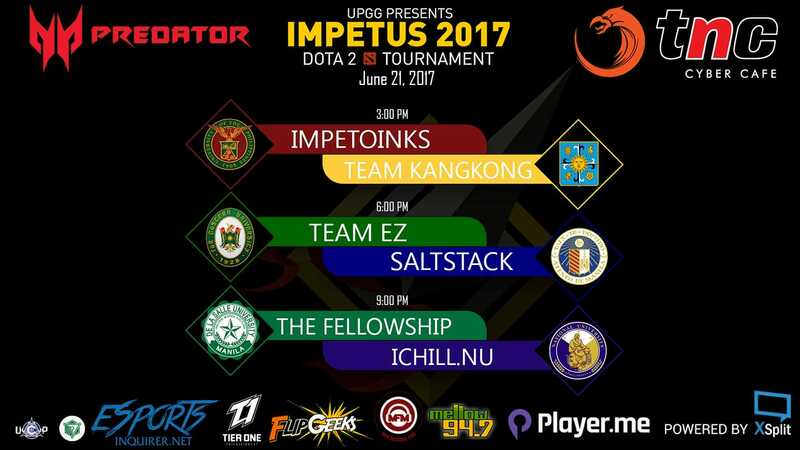 Since the tournament was first announced in March, Impetus has stirred up a great deal of excitement among collegiate Dota 2 fans – from UAAP and non-UAAP student communities alike all over Metro Manila. It generated so much interest online that it became the number one post on Reddit Philippines after its reveal. The tournament kicked off with a University Qualifier stage in March 2017. Since the UAAP schools currently have no officially recognized esports teams, UPGG had to determine the participating teams through a series of weekend qualifiers held in TNC Cubao. 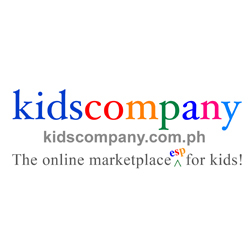 Up to eight teams from each school battled it out in these tournaments for P10,000 and the chance to officially represent their school in the main event. The winners went on to represent the University of the Philippines Diliman (UPD), Ateneo de Manila University (ADMU), De La Salle University (DLSU), University of Santo Tomas (UST), Far Eastern University (FEU), University of the East (UE),National University (NU), and Adamson University (AdU) as the official Impetus teams. While Impetus is not affiliated in any way with the UAAP, UPGG hopes that its success and the community’s response will pave the way for official esports tournaments in national collegiate sports leagues. According to Irorita, the country currently has no systemic collegiate esports league that is both sustainable and recurring, and students are left to enjoy just a handful of small-scale tournaments. “UPGG aims to solve that with Impetus,” he said. Prior to its conception, no other Dota 2 tournament in the country had focused solely on the UAAP community – one that demonstrates an overwhelming amount of enthusiasm and school pride when it comes to traditional UAAP tournaments. Add to that the growing popularity of esports and it’s easy to see why plenty of students have been eager to represent their schools in this unique Dota 2 league. Impetus 2017 is also brought to you by Player.me, Powered by XSplit, and its media partners: Maroon FM, FlipGeeks, Esports by INQUIRER.net, Tier One Entertainment, WomboXCombo, and Mellow 94.7. Special thanks to its organization partners, the UP Association of Computer Science Majors and UP Circuit. For more information on Impetus 2017, visit the official Facebook page. The University of the Philippines Gaming Guild is the first and only student organization that actively promotes and supports the promulgation and growth of Philippine esports and of gaming in general. We aspire to provide a community for gamers and by gamers – one that promotes sportsmanship, fair and fun play, and camaraderie espoused by the members’ shared love and passion for video games. MET’s Mobile Legends Professional League Philippines – First ML Pro League In the Country! The Global Version Of Infinite Defense Has Officially Launched! New LoL Champ – ORNN, The Fire Below The Mountain! MANILA SMASH LEAGUE Leg 1 Results!